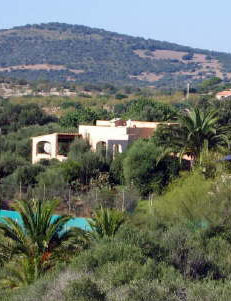 The Finca Bellavista is located on the slope of the Na Penyal hill above Cala Millor. Cala Millor is known for its beautiful sandy beach. 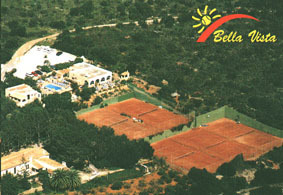 There is a country house, a chalet, a guest house, 5 tennis courts, a restaurant with terrace and a view of the sea, a swimming pool with changing rooms and pool terrace, a lemon plantation, an old deep well and a car park.Directions from Palma Airport (about 70 km): Follow the signs to Manacor (C715), follow the C715 towards Arta and Son Servera. The way to Son Servera then goes via a branch (PM-403). In Son Servera, turn off towards Cala Millor. 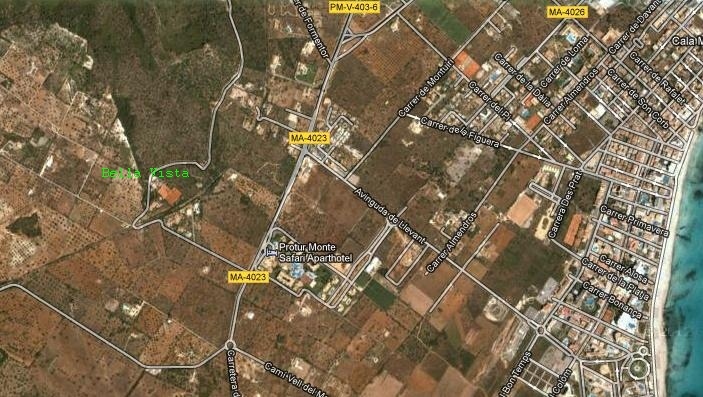 After driving through Son Servera, take the roundabout towards Porto Christo. On the left you can see the skyline of Cala Millor. The Aparthotel Monte Safari is also a few minutes away on the left. Exactly opposite it goes right to the plant tennis Bella Vista. At this branch there is also a corresponding and mostly illuminated sign. Follow the signposts, then go up a hill and after a sharp right turn first at the larger country house and then past the chalet. At the parking lot in front of the restaurant of the tennis facility ends the street. The guest house is located in the grounds of the finca below the chalet. If you arrive at night, bring a flashlight. Location: The area above Bellavista is rural and predominantly conservation area. 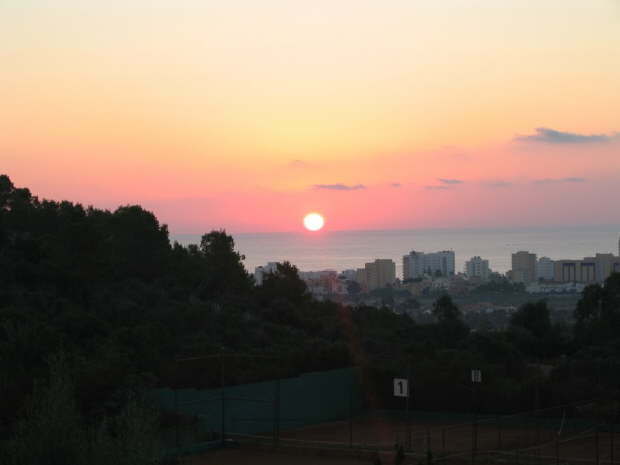 The distance to the nearest supermarket is about 1.5 km, the beach and the bustling pedestrian zone of Cala Millor about 2 km, the port Cala Bona about 4 km, the golf course about 6 km. The country house is particularly suitable for groups and friendly families. The accommodation of about 30 people is possible.